Our hottest burning firewood & the only KILN DRIED Hickory on Long Island. If you want the BEST, this is it! Great for heat production & longer burn times. 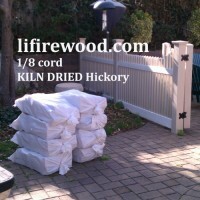 This true 1/8 cord is delivered in (8) large bags. 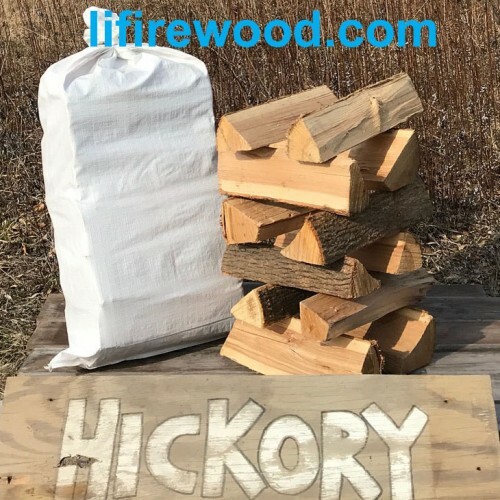 We had zero Hickory in 2018 & will only have a very small amount in 2019. Available in April ONLY. Split Diameter: small to large ? Delivery: 2.0 cu ft bags x (8) ? Rec. 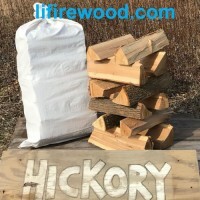 Use: wood stoves & HEAT PRODUCTION ?